I was recently given the wonderful opportunity to visit the ladies at Le Dolci for a Cupcake decorating class, and what an inspiring afternoon it turned out to be!! 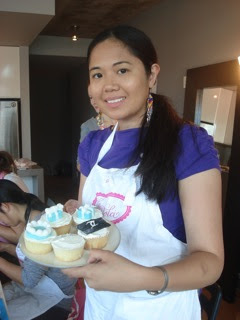 The cupcake Queen, Lisa, originally started her little cupcake boutique classes in the UK with start-up lessons for the masses. Her business is inspiration to make food education fun for all ages and to get people to be creative and inspired by food and baking. 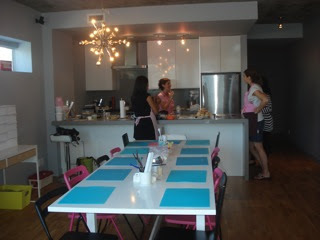 I entered a very trendy studio space in the heart of King West on a bright Saturday afternoon for a 'Designer' Cupcake Decorating class. This themed class was perfect for the group of women that began to trickle into the kitchen, already smelling of delicious French vanilla. The space is perfectly cozy with lots of light and you feel at ease almost immediately. The room is filled with plenty of colour, with one large table that seats ten, laden with cutters, brushes and scalpels. This is where all the magic happens! We were a collection of ladies; a wedding planner, teacher, avid cupcake baker and a mom duo proving that anyone can decorate with ease no matter the skill level. Our instructor, Cat of Sugar Daze Cupcakes, helped us colour our sugar fondant to match the 'Tiffany' blue for our first creation. 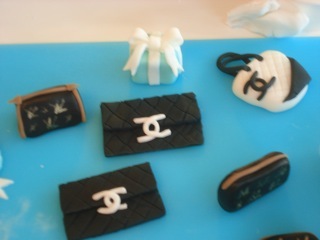 Cat showed us all the tricks of how to make the perfect bow, a cute patterned clutch and handbag and even a string of pearls, all of them, sugar creations. 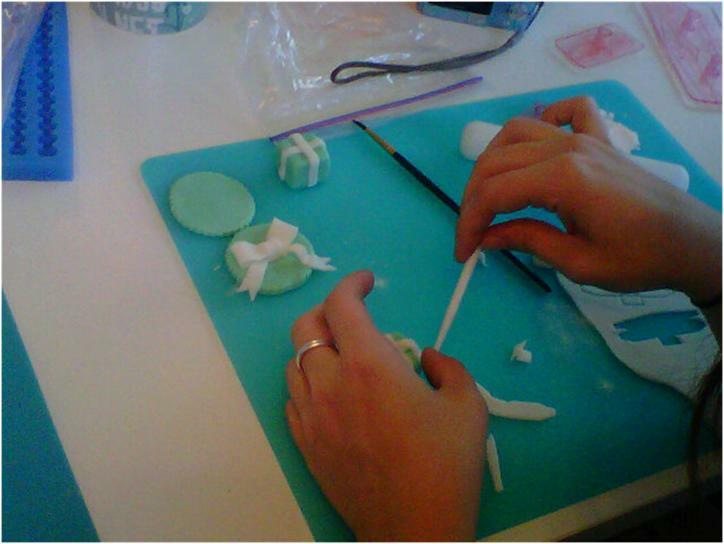 We were delighted with what we were bringing to life with just a few fondant making tools, some coloured sugar and chocolate fondant. 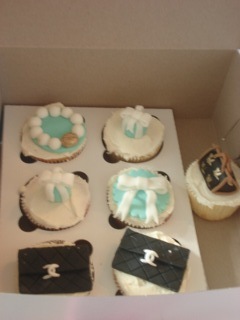 Designer handbags from Chanel, Louis Vuitton, Prada as well as the famous Tiffany box and bracelet became perfect toppers for our butter cream frosted cupcakes. Since Le Dolci opened in the Spring they have hosted themed cupcake decorating for all ages and styles, including a TIFF and Pride class to tie in with some local celebratory occasions. One of their most popular classes is an introduction to cupcake decorating, suggested for all ages and great for your little beginner baker. Look out for festive upcoming Halloween classes complete with spooky cupcakes. 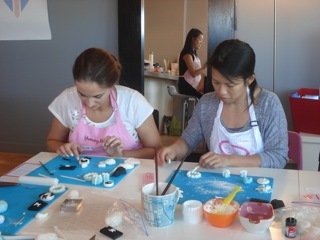 Le Dolci also offers classes for introductory cupcakes, cake pops, cookie decorating, Parisian macarons, RAW cupcakes, truffles and more. 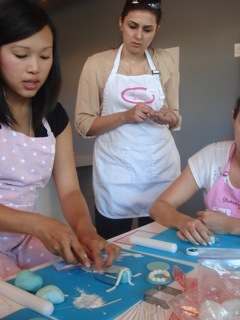 All classes are two hours in-length, hands-on and full of icing sugar fun! You will truly be amazed with your creations. Le Dolci Toronto - Reservations are required.